Strick's GardX rear impact guard was awarded the IIHS ToughGuard award, passing all three of the group's certification tests. Strick Trailers’ GardX rear impact guard received the Insurance Institute for Highway Safety’s ToughGuard award, passing all three underride tests during certification. 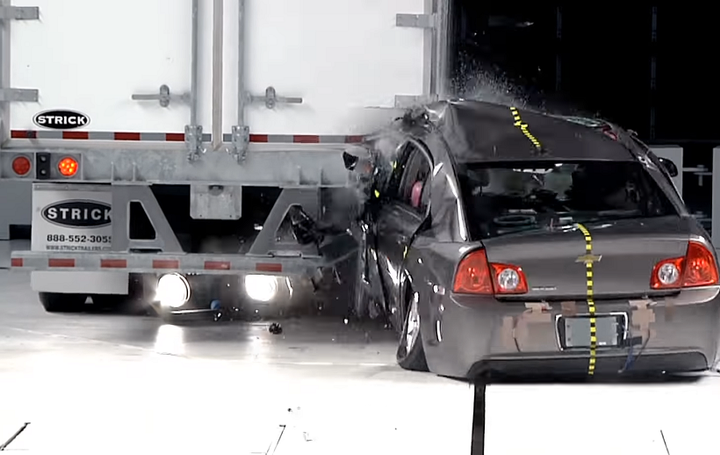 Full width - The car crashes into the center of the trailer's rear. 50% overlap - Half of the car's width overlaps the rear of the trailer. 30% overlap - Thirty percent of the car's width overlaps the rear of the trailer. The Strick GardX was able to prevent underride in all three tests. The company plans to roll out its new GardX rear impact guard for long van trailers for model year 2020. Additionally, a pup trailer design will be introduced in early 2019. “Strick is proud to have taken the necessary proactive steps to improve the rear guards of our dry van trailers and pleased with the opportunity to work with the dedicated team at IIHS,” said Justin Bell, director of engineering, Strick Trailers. Related: Do Your Trailers Have Legal RIGs with Labels That Say So?